Looking for something quick and useful to make? These handy crochet baskets are just the project for you! If you’ve always wanted to learn how to crochet, follow our series of crochet fundamentals. 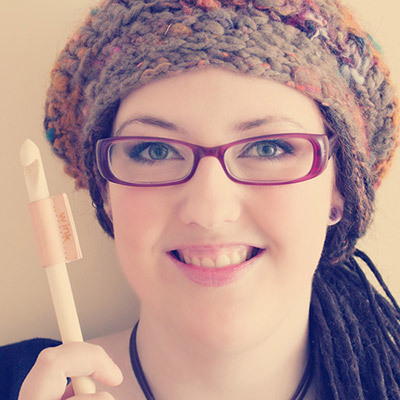 This tutorial uses US crochet terminology, with the Australian and UK term in brackets. Stitches include magic ring (mr)[mr], chain (ch)[ch], slip stitch (sl st)[sl st] and half double crochet (hdc)[htr]. Start with a magic ring (and secure with a stitch). Chain 1, then work 7 half double crochet stitches into the ring. Pull the ring closed, and join the round with a slip stitch in the top ch. You now have 8 stitches. Chain 2 (counts as 1 stitch), work another hdc into the same stitch, then *2hdc* around. Join with a sl st to the top ch of your beginning ch2. You now have 16 stitches. Chain 2 (counts as 1 stitch), work an increase into the next stitch (meaning 2hdc stitches into the same stitch), then *1hdc, inc* around. Join with a sl st to the top ch of your beginning ch2. You now have 24 stitches. Chain 2 (counts as 1 stitch), work 1hdc into the next stitch, then work an increase into the next stitch (meaning 2hdc stitches into the same stitch), then *2hdc, inc* around. Join with a sl st to the top ch of your beginning ch2. You now have 32 stitches. Chain 2 (counts as 1 stitch), work 2hdc into the next two stitches, then work an increase into the next stitch (meaning 2hdc stitches into the same stitch), then *3hdc, inc* around. Join with a sl st to the top ch of your beginning ch2. You now have 40 stitches. Chain 2 (counts as 1 stitch), work 3hdc into the next three stitches, then work an increase into the next stitch (meaning 2hdc stitches into the same stitch), then *4hdc, inc* around. Join with a sl st to the top ch of your beginning ch2. You now have 48 stitches. Chain 2, then work 1hdc stitch into each stitch around, through the back loops only. This will create a ridge in your work. Join with a sl st to the top ch of your beginning ch2. Chain 2, then *hdc* around. Join with a sl st to the top ch of your beginning ch2. Chain 2, then *hdc* around. We're now going to change colour. Insert your hook into the top ch of your beginning ch2. With the new colour, finish the slip stitch to join the round. Chain 2, then *hdc* around. Join with a sl st to the top ch of your beginning ch2. Repeat this step once. We're now going to make the basket handles. Chain 2, then work 10 hdc stitches. Chain 5, skip 7 stitches, then work 17 hdc stitches. Chain 5, skip 7 stitches, and work *hdc* till the end of the row. Join with a sl st to the top ch of your beginning ch2. Chain 2, then *hdc* around, working 7 hdc stitches around the ch5. Join with a sl st to the top ch of your beginning ch2. Finish off with your darning needle. You can easily adapt this pattern to make larger or smaller baskets, and by using yarn colours that match your interior, you'll have a couple of stylish baskets in no time! Do you love this crochet project? Are you going to make these baskets? We’d love to see your work! Let us know if you have any questions or other comments in the space below.